Just yesterday I was talking about ways to spice up your outfit - whether at work or hanging on the low. As I mentioned, one of my favorite ways to swag up a low key outfit is through the use of accessories, one of which of my favorite is socks. 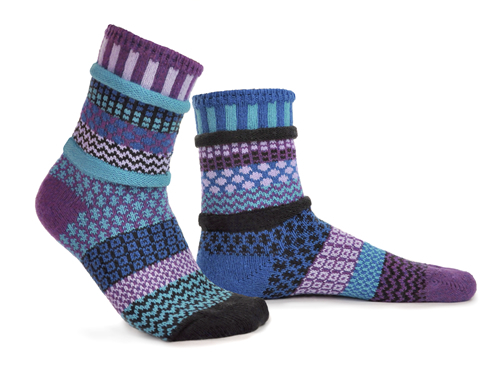 Sock Lady is a brand (also hand made in the USA - Vermont to be exact) created by Marianne Wakerlin - a woman who went from making socks as gifts for friends/families - to an American business owner who is focused on producing socks that are "mismatched with care". Purchase here.